Belkin's new FlyWire, a wireless transmitter that delivers uncompressed 1080p True Cinema HD content, makes home theater and commercial installations quicker and easier, allowing professional integrators to complete jobs more efficiently and take on more projects. This synergy aims to increase profit margins, productivity, and revenue opportunities for installers. 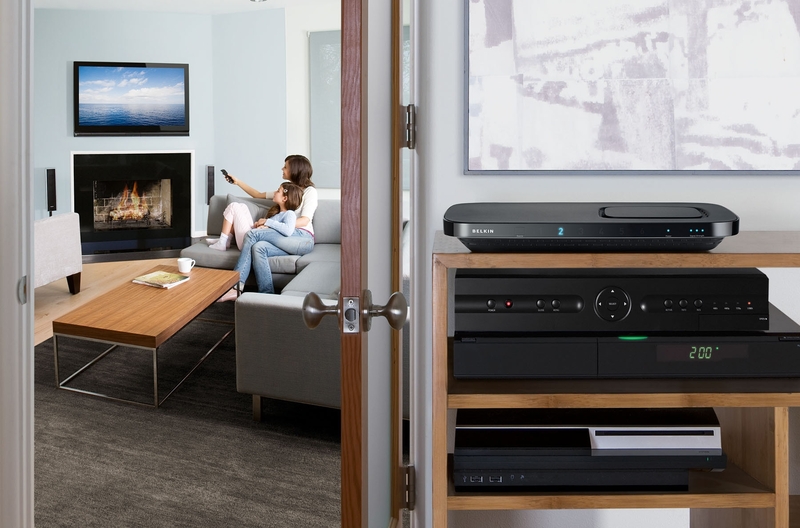 On display at CEDIA Expo 2008, FlyWire wirelessly connects devices-such as Blu-ray® players, receivers, video-game consoles, and set-top boxes to HDTVs and projectors, transmitting high-definition 1080p True Cinema picture resolution with broad-home range. Featuring an intuitive and simple setup, composed of an HD transmitter, receiver, remote control, and IR repeater, FlyWire provides the freedom and flexibility to place an HDTV virtually anywhere without cables. As the first offering in the FlyWire family, this solution provides a whole-home range with the capability of penetrating walls and AV cabinets. AV components can be hidden away in a cabinet or a closet, creating an uncluttered living and home-entertainment environment. Installers can also mount projectors on the ceiling without the hassle of cables. Operating in the open 5GHz band, FlyWire offers a completely robust connection. It intelligently manages its own connection, adjusting both frequency and power to avoid interference and overcome impedances. Because FlyWire does not compress video, it transmits video content with no latency. Even the most demanding AV applications, like video games, will not be impaired by the wireless transmission. FlyWire's SD-card slot also allows for upgrade and expansion options. A 2006 Parks Associates survey found that home theaters are the most common installation with 91% of dealers polled installing home theater systems.